Distributed By – ABC-Paramount Records, Inc. Variation with revised cover with blurb at bottom-right saying: " Includes California Dreamin' ". Same sleeve as The Mama's And The Papa's* - If You Can Believe Your Eyes And Ears but label variation : no number under cat# and different font. 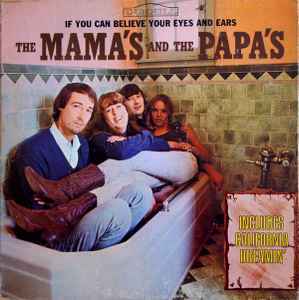 First pressings had no song titles on cover with a toilet fully visible to right of the bathtub and are referred to as the "Toilet Cover". Cover does NOT have RIAA Gold Record Award Seal like reissue.